If you’ve ever read an online slots review, you’ve probably come across the terms Return To Player and Hit Frequency at some point. While these aren’t necessarily published on the games themselves within the casino software, you can find out the Return To Player and Hit Frequency of any slots game by doing a quick online search. Before you do, though, let’s unpack the terms to find out what they mean – and how they affect you. Commonly known as RTP, Return To Player is the amount of money you can expect back from an online slot over the long term. This is always represented by a percentage value but is really easy to convert into monetary value. For example, if a game offers you a 97% RTP, this means that should you deposit C$100, you can expect C$97 in return – over the long run. Why this last point is important is because many players assume something completely different and tend to apply RTP to a single gaming session, assuming that they will receive at least 97% of their deposits back or more. The secret to understanding RTP is to understand that this percentage is a theoretical calculation and applies to the entire lifecycle of play on a single online slot. This explains why some players experience a series of losing streaks in between their winning streaks – and while it might seem like your luck has taken a sharp turn for the worse, or a steep climb to the top, the total amount you wager in the long run generally tends to even out in winnings. Remember not to mistake RTP as the casino’s house edge, which is a completely different kettle of fish. You can look at RTP as ‘player edge’ – this is the upper hand you have on the casino, the difference (in this particular example being 7%) representing theirs. Also keep in mind that big wins can and do happen every day, despite a fixed RTP on any given online slot and that RTP is not a winning indicator, but a ‘return on investment’ gauge if you will. Finally, keep in mind that RTP percentages could be between 92-98% for the biggest slot names. You shouldn’t settle for anything lower unless you’re just playing for the sport of it. Another term commonly used when it comes to online slots is Hit Frequency. Again displayed as a percentage value, an online slot’s Hit Frequency can only be found by searching online as this information will not be published on the game itself or within the casino software. 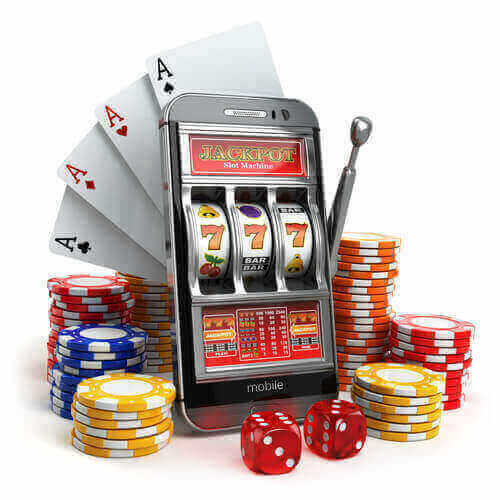 To explain, Hit Frequency is something you should pay attention to when playing online slots. The reason? Because unlike RTP, Hit Frequency does refer to how often a particular slot will churn out a win on the reels. For example, if your research tells you that an online slot has a 20% Hit Frequency, you can assume that for every 100 spins you make, you can expect 20 winning combos. While Hit Frequency doesn’t tell you exactly how much you’ll walk away with, it’s a much better indicator of the likelihood of hitting a win would be than by relying on the RTP percentage. Online slots players might be surprised to find that unlike the 6% difference in RTP on most games, Hit Frequency percentages range from a low 2% and peak at 45% (or more if you’re lucky!) on some games.